Konser Komodo! Save the Dragons! That starred Jill Hennessy, a fine Canadian lady, pictured below. It was okay, and so is she! The dragons are popular with producers. Another film came out just over 10 years ago. That was ‘Curse of the Kommodo!’ That was even worse, except for the star Gail Harris (above) who appears to be trying to extract a komodo from her bikini in this shot! Well, now enjoy a reality check, on Bali, even! Later this month there’s a major event to promote the Komodos and help ensure their survival in their natural habitat, which, in case you hadn’t heard, is on the Island of Komodo, further down the archipelagic chain, eastwards. Just past Flores, can’t miss it! 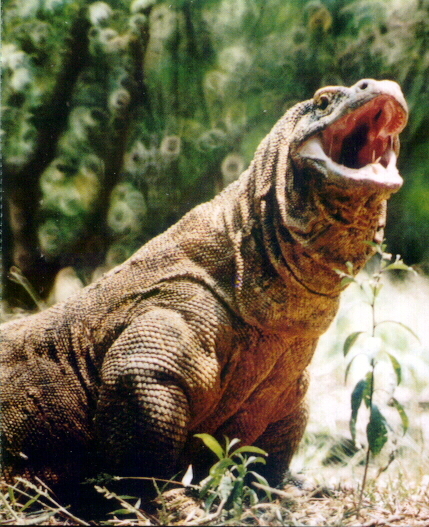 Saturday, July 30 at 6pm, on Kuta Beach, there’s a concert, specially to the Komodo Dragon! This camaign was launched last week, on Dominion Day, though it had nothing to do with Canada. I do have something to do with Canada, which is why I missed it! The Concert for Komodo will feature East Nusa Tenggara traditional music, along with famous Indonesian musicians, such as Dwiki Dharmawan, Dira Sugandi, Mercy Dumais and Sandhy Sondoro. And as you can see from the poster…it’s FREE! Yes, save them. They are our neighbors where I have my home town. Not dangerous if they do not get bothered.